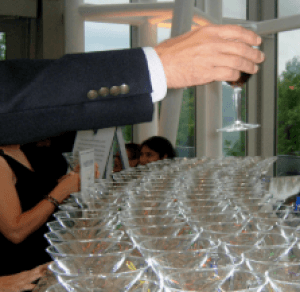 The upcoming holiday season has me thinking about parties, and that naturally led me think about what we often serve at them … food and alcohol. If you’re seeking some new benefit auction item ideas and haven’t yet tried a stock the bar| stock the cellar activity, maybe this is your year to try it. It’s a way to have many people make a small contribution that enables you to sell a larger item at the auction. In this podcast, I explain what it is and different ways to execute it.